Letters to Santa was introduced at Quilt Market and Festival 2017 and it was a huge hit! We originally designed it for both the embroidery machine and the regular appliquer!! This Quilt is very unique as it can be very personal as well using faux fur for some of the elements. I love to think outside the box and this quilt is one of my very favorites. 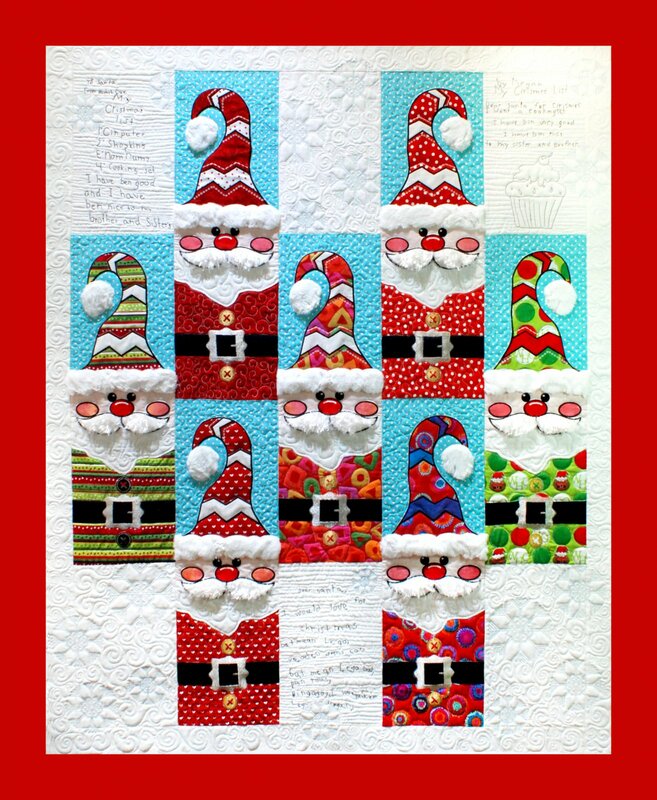 I digitized my grandchildren's actual letters to Santa and added them to the white areas of the quilt. These white areas would also be good for family recipes, a place for all your Christmas guests to sign the quilt, or a special spot for some beautiful quilting. We also provide suggestions on how you can personalize this quilt.